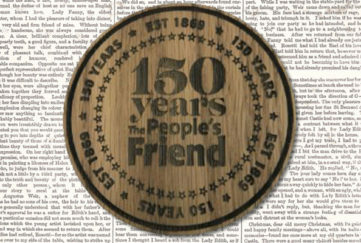 I was interested to read on the BBC website about the 150th anniversary of “The People’s Friend” magazine. Many congratulations to you all! I grew up surrounded by many years’ worth of “Friend” calendar tea towels and painted tea caddies with engraved spoons. These arrived every Christmas as gifts, along with a nice wee cheque, to my mother Ailie Scullion, who wrote for the magazine for many years. Mum also wrote under the names of Kate Hannah and Fanny Sommerville, as she sometimes had two or even three different stories in the same edition or hard-backed Christmas annual. Mum started writing after winning a short story competition organised by DC Thomson. She considered Douglas Neilson, her first editor, a fine and kindly gentleman who supported and encouraged her in this new venture. 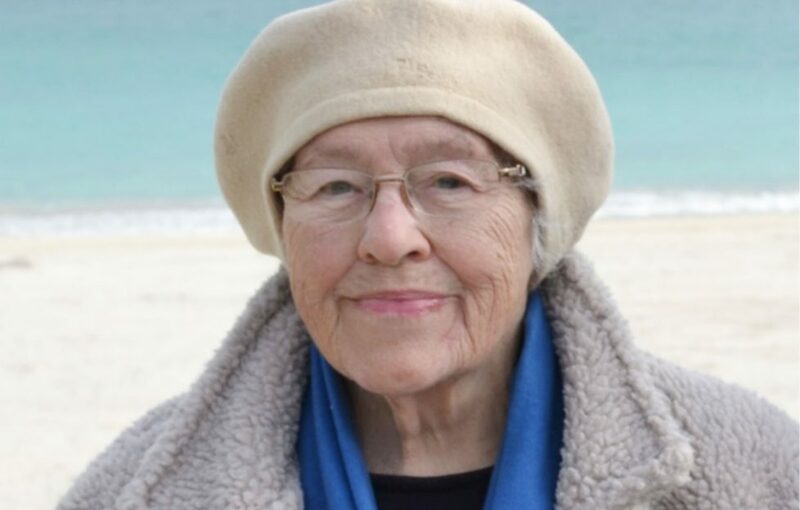 Mum passed away in 2013 and had not written for some years due to ill health. Just this week, however, I received the PLR statement for borrowings of her books from public libraries. These were large print books produced after the soft-back abridged booklets DC Thomson published of her serialised stories. On Mum’s passing we signed over these PLR payments to RNIB but it is lovely to know that she is still telling people stories all these years later and that her voice lives on for more than just her family. She would be chuffed at that, and it is only thanks to the opportunities the “Friend” allowed her to put pen to paper so prodigiously. I thank you for that on my dear mother’s behalf and wish you, and your present writers, well in the future. I should very much like to add my congratulations to “The People’s Friend” as it passes another milestone. My late mother was an avid reader, and being brought up in the Isle of Tiree in the late 1940s, I came to share her enthusiasm for your publication. This was largely because my mother passed on her copy to an elderly neighbour whose English was not perfect, Tiree being still a largely Gaelic speaking island. One of my weekly tasks was to deliver the “Friend” to that neighbour, and she would quiz me on the various content. I soon realised that it was necessary for me to keep up to speed with the serials etc., in order to support this kindly lady’s enjoyment of the magazines! Needless to say I kept quiet about this ploy from my pals, but enjoyed much of the “kailyard” content. Eventually, as our neighbour grew frail, I would read parts to her and I believe we enjoyed these sessions in equal measure. My mother took “The People’s Friend” right up until she passed away in 1991, and I am grateful for the immense pleasure it gave her. We successfully entered short story competitions, winning two dress lengths and a tea caddy, so perhaps that helped inspire me to take a degree in English Literature at Edinburgh University, and eventually become an English teacher! I trust the “Friend” will go from strength to strength and provide fine, wholesome entertainment for many more generations. I was introduced to your great magazine by a Scottish friend, Madge, in 1971, when living in married quarters in Dortmund, and it has been my favourite magazine since then. In my opinion, it is the best weekly magazine ever and is full of interesting articles, knitting and crochet patterns and excellent stories and serials, which are a treat to read. I cannot speak highly enough of the content and value for money. I bless the day Madge passed that first copy to me. I also enjoy the three-weekly “Specials” and recommend “The People’s Friend” to anyone who enjoys a good read. Long may you continue! Best wishes and thanks to all who produce the magazine every week. I was reading about your 150th anniversary on the BBC news website and had to write to tell you that my Granny Christie was an avid read of your publication. Your magazine brought her joy and comfort in her life. As a child in the 1980s I remember looking forward to the children’s story when it was bedtime and I was staying over with Gran. The only one I can remember was about a clan of haggis that lived in the Highlands. I was so taken with this tale, I even got a hairy haggis toy! 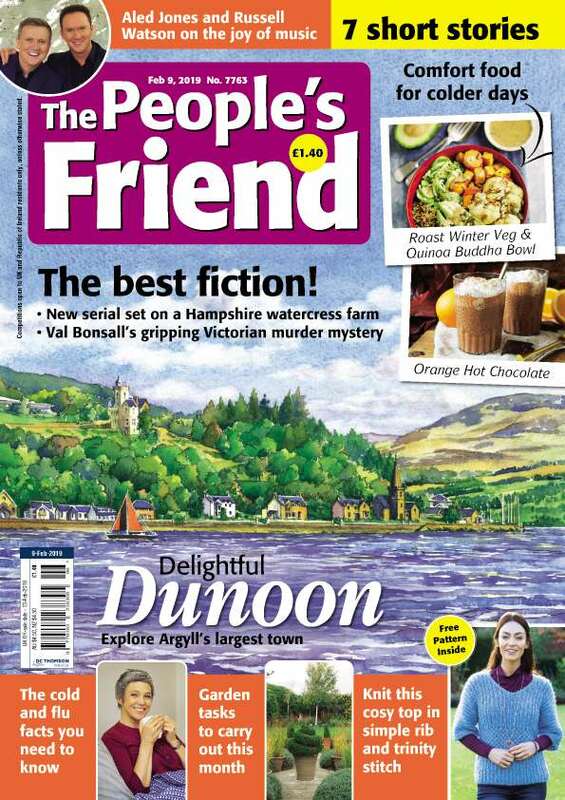 When I see the cover of “The People’s Friend” I can’t help but smile as I remember all the happy memories that I associate with it. All the best for your anniversary and many happy years to come. I was first introduced to “The People’s Friend” in June 1957. I was a seventeen-year-old schoolgirl on my first date with a man about town who was twenty-two. We were waiting at the station for a train to take us to Roath Park, Cardiff and he asked me to choose a magazine for the journey. I wanted to appear sophisticated, so selected “The People’s Friend”. 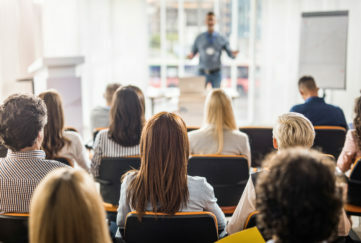 I’ve never regretted that decision and can honestly say I learn something new every week. I enjoy the stories, articles – crying, laughing – the whole gamut of emotions. So thank you, you really are “The People’s Friend”! 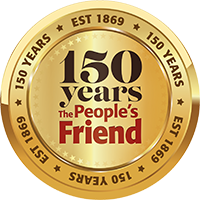 I’d like to wish the “Friend” a happy 150th anniversary, and thought you may find this story of some interest. In the 1880s several of my family emigrated to America. The Scottish and American family members have maintained contact to this day. 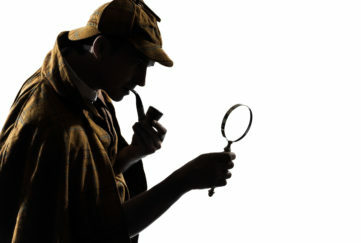 In the 1980s, one of the American “cousins” came to visit her Scottish family and brought with her a pile of letters which had been received by her grandparents. These letters were given to my father. Among them was one written by my grandfather who was seventeen at the time of writing, so it obviously goes back many decades. Here’s an extract below which discusses “The People’s Friend”. I will try and write you a few lines, as mother is very busy and can’t get much time to write. Ever since Lizzie left this country and went to China, mother has had plenty of work. So much that she couldn’t get time to send you “The People’s Friend”. After two or three had accumulated, she intended writing you before she sent them. When I saw so many lying in the house, I thought it was time to send some to you, to let you get a read. I will send them on the same as usual, when Lizzie had the job. We’re publishing these letters as part of our 150th Anniversary Celebrations – read more about what’s going on in our birthday year. If you’d like to tell us what the ‘Friend’ means to you, you can send us your story here.